iPhone 5 Unveiled in USA, When in Saudi Arabia? 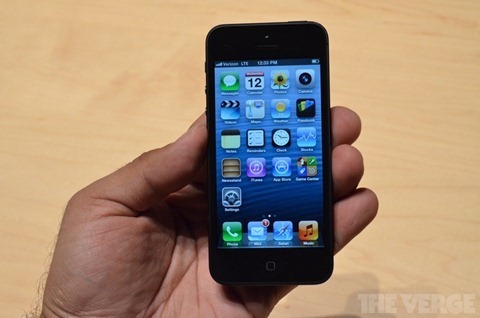 According to different tech site,The iPhone 5 is the thinnest in its class and is also very light. It has a 4-inch retina display and is powered by a quad-core A-6 processor designed by Apple. It has a fast wireless technology and an improved battery life. It runs on iOS 6 and contains over 200 features not present in the older models of the device. As an added function, It can now be integrated with Facebook.The new iPhone 5 supports a dual-band 802.11n Wi-Fi support. The iPhone 5â€™s iSight. camera is still at 8 megapixels and has such features like backside illumination, a hybrid IR filter, a five-element lens, and an f2.4 aperture. It has a better light mode and photography apps are said to load up to 2.1 times faster. It also features a built-in panorama mode for up to a 28-megapixel photo. It also has an additional microphone for a total of three. If its speed and battery life lives up to what is promised, its sales may well reach the 10 million mark by the end of the month, according to analysts. I believed that this unit will soon be available in Saudi Arabia, but of course the price of this unit will be higher on the first month, not unless the official mobile carrier such as Mobily and STC will provide us the official release with a better price. It is also probable that Extra and Jarir will soon give their special offer for the iPhone 5. In this regard, it is also expected that the iPhone 4s will decrease itâ€™s price. But who wants to have an old one if you have the new one available. iPhone 5 is out in Saudi Alrabia, but in selected stores. In iTechnica its selling for 64GB for 6999. But in major stores it is not out yet, eg Jarir Bookstore. Another point is that if you do buy an iPhone from a local store in Saudi Alrabia, the phone is formated that they delete Facetime.So my advice is find a phone from outside the country. For example my brother is bringing it from australia. the 64gb cost 999 dollars which is same for 4500. also i get to use facetime !. I am from bangladesh and going to Hajj 2012 on next 20th Oct. I want to buy a iPhone 5 32GB From Makkah or Madinah. So, pls. inform me Price in SR and How to collect and your Phone and Address. Its available for SR 4,402 SR by SaleTab, delivery time = 2 days. Available at UK Apple store for SR 3,216 + SR 100 for Shipment via ShopandShip.